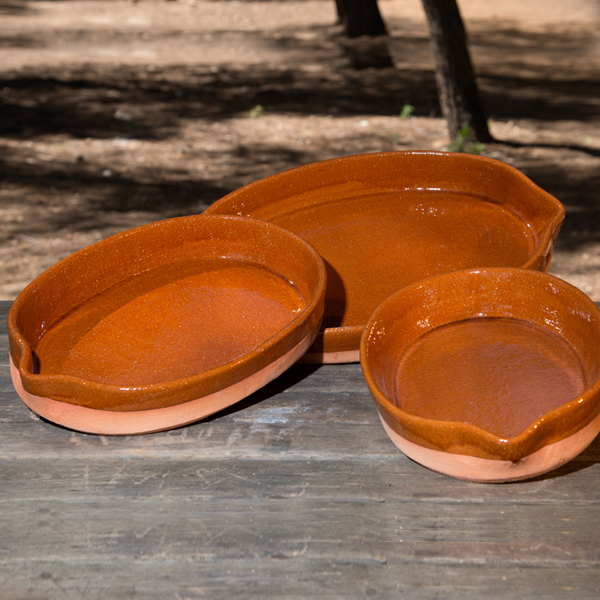 In Spain, these oval Cazuelas are mainly used for roasting meats, such as suckling pigs and legs of lamb in wood burning ovens. Lovely, I`ve an Italian pottery collection, and this fit in perfectly! Haven`t used it yet, but seems durable,..oven to table. I`ve others of the same make and use them constantly. Beautiful, and practical what more could be desired?